TORONTO, ON / ACCESSWIRE / February 12, 2019 / Rockcliff Metals Corporation ("Rockcliff" or the "Company") (TSX.V: RCLF) (FRANKFURT: RO0, WKN: A2H60G) is pleased to announce the signing of the formal Purchase Agreement with RNC Minerals (TSX: RNX) ("RNC") to acquire fourteen properties (the "Acquisitions") located in Snow Lake, Manitoba. The Acquisitions from RNC's wholly-owned subsidiary, VMS Ventures Inc., call for the issuance of 2,250,000 common shares of Rockcliff to RNC. Red Cloud Klondike Strike Inc. acted as financial advisor to Rockcliff. Rockcliff has the largest junior property portfolio in the Flin Flon-Snow Lake greenstone belt ("Belt") which is the largest Paleoproterozoic VMS district (copper, gold, zinc, silver) in the world and also contains gold mines and deposits. Please view Figure 1 below for the location of Rockcliff's property portfolio. 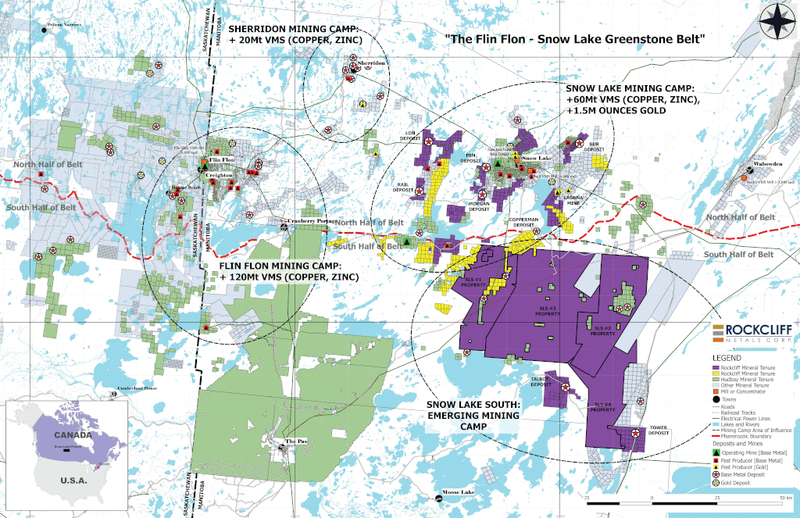 Figure 1: Rockcliff's Property Portfolio coloured in yellow (RNC's acquisitions) and purple located in the Flin Flon-Snow Lake greenstone belt. The Acquisitions are subject to approval by the TSX Venture Exchange. Rockcliff is a Canadian resource exploration company focused on base metals, gold and royalties in the Snow Lake area of Manitoba, Canada. Rockcliff is the largest junior landholder in the Flin Flon-Snow Lake greenstone belt which is home to the largest Paleoproterozoic volcanic-hosted massive sulphide (VMS) district (copper, gold, zinc, silver) in the world and also contains gold mines and deposits. Its extensive portfolio of properties totals over 4,000 square kilometres. It includes nine of the highest-grade undeveloped VMS deposits and 5 lode-gold properties including the historic Rex-Laguna gold mine, Manitoba's first and highest-grade gold mine. For more information, please visit http://rockcliffmetals.com. Cautionary Note Regarding Forward-Looking Statements: This news release includes forward-looking statements that are subject to risks and uncertainties. Forward-looking statements involve known and unknown risks, uncertainties, and other factors that could cause the actual results of the Company to be materially different from the historical results or from any future results expressed or implied by such forward-looking statements. All statements contained in this news release, other than statements of historical fact, are to be considered forward-looking. Although Rockcliff believes the expectations expressed in such forward-looking statements are based on reasonable assumptions, such statements are not guarantees of future performance and actual results or developments may differ materially from those in the forward-looking statements.